You can install this normally using an SD Card or USB drive and the pre-installed upgrade app. This does not require the reset button like before, however, if you would like to you can load this through the Recovery Menu as well. Just extract the IMG file from the zip folder and move it to a USB drive or SD Card that is formatted to FAT32. 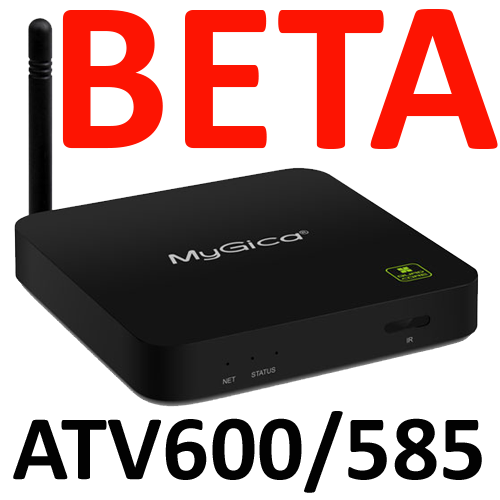 - This is our MyGica version of Android 5.1 and not Android Stock version like we offered before. This has been worked on for awhile now. 8. Improved standby issues as best we could. There is not much more we can do about this issue. Mygica is not responsible for damage to the unit outside of the 1 year warranty period. I have problems with the wifi, anyone else? What are the problems exactly? I'm wondering if anyone else has problems of having to reset the clock ? The disconnection of the wifi for no reason. And I don't have a connection problem with the others devices. any help about the wifi problem? I have the same device. Have you tried a different Wifi channel setting on your router? The 586 uses a different Wifi Module then the 585/600, so that must be the issue. Will have to see if this can be fixed or not. Are you going to genere a version for dtv or i need to downgrade to 4.4 version ? same question but for the wifi, and if I downgrade to 4.4 version netflix doesn't show the subtitles. Any news? When you think we're going to have it? I do not know at this time. I updated my Mygica ATV 585 today to this latest 5..1.1 update. Some hiccups during installation, but all seems to be working well. Boot up is slow, so some patience is required. On the Android side, it automatically configures my TV resolution to 1920 x 1080. However, when running Kodi, System settings for the video display is greyed out and set to 1280 x 720. I am unable to change this resolution setting. Incidentally, Kodi was updated to Kodi 17.4. Could it be the reason is due to Kodi 17.4 or is there a way to allow resolution changes? Yes, most annoying. Sometimes auto clock works. Other times you have to do it manually. Argh! I have the 600 and I don't even have a pinhole to reset. This is such a pain! I'm stuck on the MyGigca screen now...I'm thinking I should just go buy a new one. The pin hole is on the bottom of the box. Tried putting this on my parents ATV600, nothing but problems. First it took a hand full of times just to get it to install because it would freeze in the middle of the installation. Once I finally got it to install it would freeze if I tried plugging in a USB hard drive also it would freeze if I was using my KR301 remote to navigate the app page. I found if you do a fresh factory reinstall ( factory firmware, pinhole, ect) then do the upgrade the 5.1 fw will work fine. does run slower but it is a better than buy a new box in some cases. Ya that's how I got it to install, had to do a factory reset first then it would install but it would still freeze when I plugged in a usb hard drive to watch videos or if I was trying to scroll the app page intermittently.